Home Professor Taylor in Papua New Guinea 2009 Professor Taylor provided workshops and consulting advice to police from the Royal Papua New Guinea Constabulary regarding child abuse and violence against women. Here she is pictured with Sgt Tinol Papiapon (centre) and women police officers outside the Sexual Offences Unit, Boroko Police Station, Port Moresby, PNG. Professor Taylor provided workshops and consulting advice to police from the Royal Papua New Guinea Constabulary regarding child abuse and violence against women. 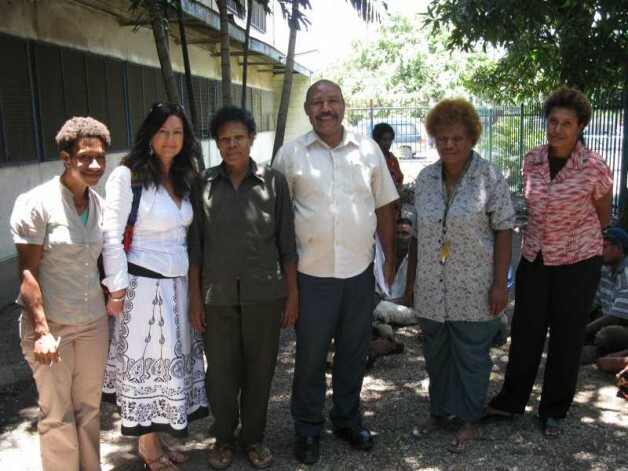 Here she is pictured with Sgt Tinol Papiapon (centre) and women police officers outside the Sexual Offences Unit, Boroko Police Station, Port Moresby, PNG.